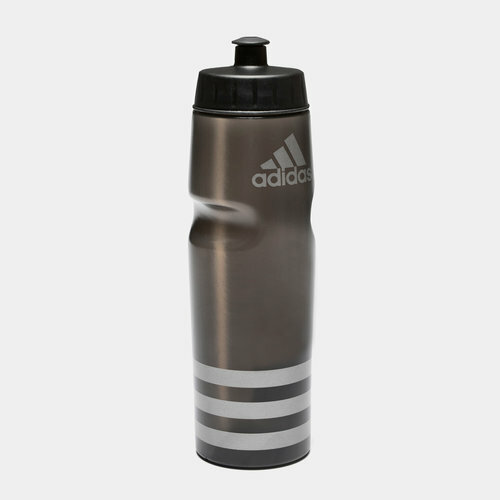 Hydration is key to performance so ensure you're keeping yourself topped up throughout the day with this adidas 3 Stripe 750ml Performance Water Bottle in Black and Iron Metallic. Whether you're hitting the gym, at school or just relaxing at home make sure you've always got enough water to keep you alert and active at all times. With a 750ml capacity able to keep you going for longer.